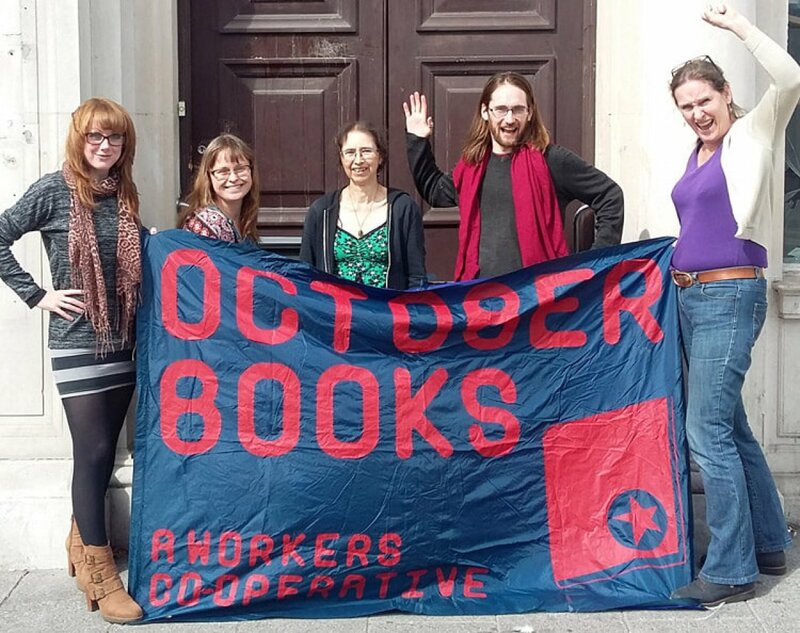 A 40-year old radical bookshop co-operative named after the Russian Revolution is now the legal owner of a former bank building which it plans to turn into a community hub. On 6 August October Books in Southampton completed the purchase of 189 Portswood Road which for many years had been a branch of NatWest Bank. This was made possible by a very successful campaign that with the support of the local community raised £487,800 through a combination of loan stock, crowd funding, personal loans and gifts, and a loan from Co-operative & Community Finance. The new building is much bigger than the current shop, which is actually in the same street. October Books owns the freehold. The top floor of the building has already been sold to a private leaseholder and October Books will sell the first floor to The Society of St James, a local charity that supports homeless people. The ground floor will be used by the bookshop and the local community. The co-op is hoping that the necessary renovations will be completed in time to allow the bookshop to open in its new home in October, of course. This bold move marks the next step in the evolution of this radical business that began in 1977. The bookshop stocks general popular fiction, non-fiction and children’s books, alongside a comprehensive range of radical books and magazines. The specialty areas are social issues, adoption, humanities and political issues. Over the years, the co-op has expanded its range to include greeting cards, organic and fair-trade foods and green household items. Co-op member Jaquie Daniels is a singer/songwriter whose song ‘Buying the Bank’ will help maintain the community spirit through the next few months of renovations and the move.